Java is a platform-independent, object-oriented, multi-threaded programming environment. 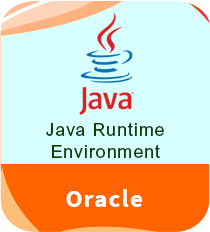 The Java Runtime Environment (JRE) is a reliable Java Plug-in used for running Java applications and loading Java “applets” in almost all popular browsers. These applets help you enjoy a more pleasant Web experience, as compared to the simple and tedious interactions you get by using static HTML pages. With Java installed on your system, you can download applications over a network and run them within a secure sandbox. In addition, various cross platform applications also require Java for operating properly. Times are chaginng for the better if I can get this online!